Chai is a huge part of the Indian culture, something I hadn’t realized coming from North America where it is in no way part of our daily life. There are tea stalls absolutely everywhere, and the second you arrive at someone’s house you are handed a nice hot cup of tea. 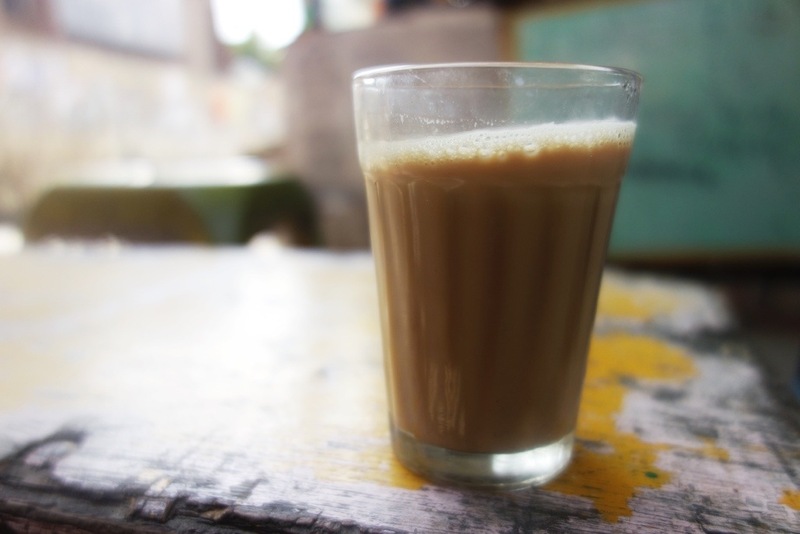 Everyone drinks a glass of chai in the morning when they wake up, and at least a few others throughout the day. It is a milk based tea with lots of sugar, and “masala,” a mixture of spices that gives it it’s flavor. Everywhere makes it a bit differently, but it is always absolutely delicious! This entry was posted in India and tagged Chai, chai culture, Indian chia culture, Indian tea by The Wandering Nomads. Bookmark the permalink. I love chai! I usually get mine from Dutch Brothers. . My favorite tea stall! 🙂 !